Alex J. Cavanaugh: Ninja News, Writers4Writers, and the I Miss You Blogfest! Ninja News, Writers4Writers, and the I Miss You Blogfest! 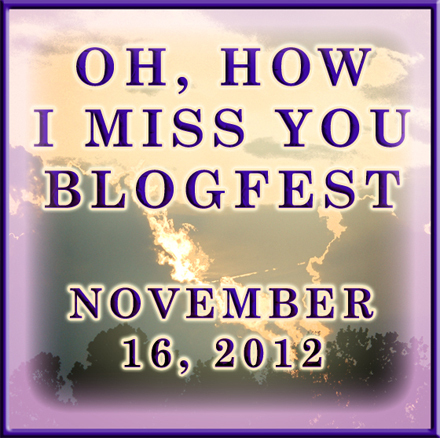 It’s Time for the I Miss You Blogfest! Denise at L’Aussie Writer is hosting a Holiday Spirit Blogfest that runs December 12 – 21. For this Holiday Spirit blogfest (open to the whole blogosphere), RFW is looking for excerpts of up to 800 words of fiction or non-fiction stories of family tradition, favorite/unique recipes, inspirational articles, etc. ; that involve the essence of the holiday spirit. And on Monday, November 19, the details of this blog event, hosted by Mark “The Madman” Koopman, ”Marvelous” Morgan Shamy, Stephen “Breakthrough” Tremp, and David “Kingpin” Powers King, will be revealed. You’ll be surprised. You’ll be mystified. You’ll laugh, you’ll cry, you’ll kiss three bucks goodbye… (Wait, that’s the tagline for the spoof Hardware Wars!) Safe to say, you will not be expecting it. Like the Spanish Inquisition. No one expects the Spanish Inquisition… (Wait, that’s a Monty Python skit!) Just forget all you know, or think you know… (Crap, that’s the tagline from Willow!) Just tune in Monday! · Create verbal and viral buss. In A Nut Shell: the spotlighted author (December will be Nancy Thompson and her book The Mistaken) will choose a social media avenue such as Twitter or Facebook (or both). Then, the good people of Blogdom will promote the author’s book to their Twitter followers or Facebook friends, that is, incredibly large new audiences the author could not reach on their own. Hosted by Stephen Tremp, Mary Pax, Christine Rains, and CM Brown. 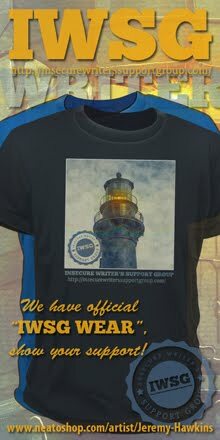 You can also visit the W4WS Facebook page HERE. Jeffrey Beesler Met Jeffrey the summer of 2010 and he became a good friend and critique partner. His books and real life events have kept him busy though. He used to post daily, featuring theme weeks, and I could always count on seeing his comments. I really miss seeing Jeffrey around the blogging world. Baygirl After over two years of her wit, I really came to appreciate Baygirl’s fun posts, which often included pictures. She posts much less now and there’s a definite void without her voice online. Jeremy at Retro-Zombie If I’m ever backed into a corner, I want Jeremy at my side. Only once before have I met someone so willing to do anything to help another. He’d give you the shirt off his back. He has a graphics business, and yet he’s so willing to do them for free for his friends. I can always count on Jeremy. If you’ve ever visited his site and thought ‘odd,’ then you just don’t understand the heart of the man behind that blog. Jeremy rocks, and hopefully he never leaves us. Ella at Ella’s Edge I met Ella during the first A to Z Challenge. She is without a doubt the most creative person I have ever met. She sees the beauty in the simplest things, and her words flow like a gentle stream. Even her artwork, crafts, and photos are poetic. She has a peace about her that speaks volumes of love. I would miss her spirit and the safe haven that is her blog if she ever left us. Chuck at Apocalypse Now No other way to say it – Chuck is THE MAN. It didn’t take me long after finding his blog two and a half years ago to realize that Chuck and I have a lot in common. He’s someone I could hang with and shoot the breeze over a couple drinks. Chuck is one of the most supportive people I know – I think he’s talked more people into buying my books than I have! He’s dedicated and possesses a great sense of humor. Hopefully when the Mayan calendar runs out next month and his countdown to the Apocalypse ends, Chuck doesn’t vanish on us. Your turn – who do you miss and who would you miss? List of participants below. Feel free to join us! Now, having just said that, your tease for Monday was *the BEST* especially as, well, I can't say... but you cracked me UP!!! Thanks for hosting this blogfest. I think it will confuse my readers as the last 250 posts have been following our travels. I tried to tie it in. I am off to check out your favorite bloggers and find a few more on your list. Yep, I definitely missed Clarissa while she was away. It was hard coming up with three I'd miss. You're one. Clarissa is one of my favorites too. I'll miss all the blogfests in December, but I need to unplug for a month for more reasons I dare count. Will be back stronger and more hopeful in January 2013. Fab choices! I guessed two right :-) Jeremy and Ella! Mark, I'll scratch that off my list of job possibilities. And you like the tease? Worked hard on that one! Hey Rhonda! You've looked like you're having fun on your travels though. Jessica, did you really know...? LOL, of course! They're the two you speak about the most. Well, when I'm lurking around your blog, I see their names pop up quite often. This is such a great blogfest, a chance to speak from the heart. Kudos to the three of you! Sweet messages to those you miss. I've already signed up for Cassie and Tara's giveaway! There's so many people I would miss if they went away. We have such a great community here. I finally have Prometheus from Netflix. Some good sci-fi for this weekend to watch! Have a wonderful weekend! Hi Alex .. there are so many - I forgot Clarissa - yeah I'd miss her if she wandered off out of blogdom ... BayGirl too .. I didn't know Captain Ninjas could make Ninja Stylist cry...Thank you Alex, I would miss you, too~ You are like a beacon of good will, always sharing facets of news! You're right those are great bloggers. I was wondering about Clarissa myself. Neat idea for a blogfest. Well done. I'm off to check on your blogger friends. Thank you for hosting Alex. You guys have picked a great topic for this blogfest. It's nice to pay tribute to those folks and let them know they're missed! I feel the same way you do. I love everyone on my blog roll and would definitely miss them if any one of them were gone. Thanks for hosting this blog fest!! Thanks so much for hosting this blogfest! I hope folks that are being missed will find time to come back if they can. I miss not being around too. Thank you so much for your thoughtfulness. It really means a lot. I am trying to get back into blogging but I'm going through a lot of personal issues lately. However, hopefully I can get back into a routine which includes weekly blogging. Thanks again, Alex! You really are the best. I would miss you if you stopped blogging. Jessica, you have the makings of a fine Ninja then! Laura, can't claim those taglines! Aw, thanks Ella. And I didn't mean to make you cry!! Carol, and we are glad she is back! Thanks, Clarissa. You just had me worried - you've been a good blogger buddy for so long. Congrats to Cassie & Tara! Writers 4 Writers sounds great! I'm heading over to say hi to Clarissa & Jeremy now. Thx, Alex! Thanks for hosting and providing the linky power, Alex! There are so many awesome blogs I would miss too. It's tough. So much stuff coming up! Wowsers. I forgot to add three that I would miss, but same as you, it would be everyone! I mean if I wouldn't miss you, I wouldn't have hit follow in the first place! Sounds like we all need a Chuck! At least I have an Alex, lol. W4WS has the potential to be AMAZING. Another great blogfest, thank you Alex. Will try to find the time to visit other people today. Wow, so many amazing blogs but so little time. So much good stuff going on. Love the idea of the Writers for Writers project. Baygirl won all of my choco-quiz contests. That woman's brilliant and creative. Great picks, Alex. Thanks for co-hosting. I'm so glad you guys put this blogfest together. It really made me want to see what I can do about upping my bloggy participation and keeping in better touch with blogs I miss. Some great choices there Alex! Chuck is totally awesome! I agree. And I miss Clarissa Draper, too! You should host this blogfest again sometime! I didn't know about it before I posted today. I definitely would have joined in if I'd known! Congrats to Cassie Mae and Tara! In November I miss lots of bloggers cause so many have stopped for NaNo. I would really miss you Alex. You bring so much to this community. There are so many bloggers out there who would be really missed. I didn't even try this blog fest. I would miss you Alex that is for sure. Matthew, thanks for co-hosting with us! Katie, glad it's prodded you forward. Jess, you can still join us! Love the idea of this blogfest. I'm finding some great folks. Oops! I forgot to write who I'd miss if they vanished. Very busy, my daughter is learning GIMP on my computer and I have little time to do anything but encourage her. She is going to redo my cover for The Treasures of Carmelidrium since no one is down loading even now when it's free. Ugh! I remember Clarissa, Jeffrey, and Baygirl. Awesome people I also wish were still blogging with us. Although I do see Jeffrey on Facebook from time to time. And thanks for the shout out for W4WS! Off to visit Cassie and Tara. And I could certainly use a new blog banner! The guys from MST3000 just crashed into the satellite on my banner. Yes! to Clarissa and Jeffery. As for as the others you've chosen...finally a few I don't know. I'll have to check them out. I've forgotten about Baygirl. She is pretty awesome. Good choice putting Chuck on your list. He would of made it on mine if the list was longer. Congrats to Tara and Cassie on 500! Yes, I went to Bay Girl's blog a few times recently to find the same post there. And while I enjoy that post, I'd like to see her back. You're right - Baygirl doesn't post very often anymore. alex, thank you... it's funny how we all started our blogs as an expression of ourselves and we hoped to share that expression with others. we like seeing the followers jump, the comments being made and making friends... friends that are like family... you are part of my family. i am proud that we met and that to me is a mystery, which makes it even cooler... that mystery. i a glad and honored to be "odd" person... and thank you again! this all being said in the manliest way possible, you are like a brother to me and i got your back when the war starts. ps. i finally... finally got the new rush... outstanding. have a great day, on to the show!! I definitely agree with you on Jeremy. I know I don't comment often on his posts, but I love reading them every time. Looking forward to meeting your friends. Later, Captain. Aw, I missed it. But it's fun reading all the bloggers who joined and the blogs they'd miss. Stephen, you're welcome. And I can hear Tom and Crow now "Mike broke the banner!" Jeremy, you and me against the zombies, man!! Odd is good if it leads to friends like you. Glad I met you, brother! Joylene, that made me laugh! I'm here on the blogosphere just reading today. Clarissa's blog was one I also enjoyed very much! There are so many inspiring, encouraging, informative blogs out there. Thanks for a place that shares these in abundance. I'm overwhelmed with new folks to visit. Recommendations galore out there...Great blogfest. Congrats Cassie Mae and Tara Tyler!! Oh, I dig this W4WS thing. Gonna check it out! Thanks! We'd all miss you too Alex. I like the W4WS, writers need all the help they can get. Juicy news today and of course that secret to be revealed on Monday. What a warm and fuzzy blogfest. Really fun. Thanks, Captain. I would miss you very much, Alex. There are so many awesome bloggers, that it was really hard to choose just a few. I don't want to end up missing anyone . . .and speaking of missing things, I forgot to mention Tara and Cassie's 500 follower excitement today! I would miss all of you, Alex. Just imagine if we weren't blogging we would have never met (online). You all are a part of my life now. Thanks for hosting another great event. Of course, now I'll be hopping around instead of working on my book all weekend. Fun and interesting blogfest. I would miss you, if you went away. Alex...I just love your Ninja News. I always find great stuff to do and ppl to follow. What a fun blogfest too! Happy weekend! What a fun blogfest. I would miss you, Alex! Such a great idea for a blogfest! I would miss Ella as well. She is, as you said, a creative genius. She blows my mind! you have to know that you are the given on everone's list! and even more for giving our giveaway a shout! i want a sassy cassie crit too! lucky! Jam-packed as always with news. And great news, too! 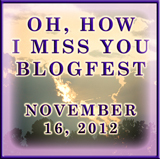 Love being in on the Oh, How I Miss You Blogfest. Very nice way to acknowledge bloggers with style! I suppose there are bloggers I miss and many I would miss, but my memory is so bad sometimes that I forget who they are and don't remember which ones I would miss. I guess I would just miss any and all of them. Tara, thanks! And you'd enjoy a sassy Cassie critique. Congrats to Tara & Cassie. Too bad I can't use their services. The W4Ws event is going to be so cool. I can't believe they picked me for their first campaign! I have a funny feeling you are on quite a few of those lists, like mine. I'll be back on Monday. Have a great weekend Alex! What fun blogfests and giveaways! Gonna check out Writers 4 Writers. Sounds FAB! Okay, I'm glad to see I'm not the only that has missed Clarissa Draper. I really LOVED her A to Z challenge for 2012 but I enjoyed her posts even before then. I've missed Clarissa Draper as well! She's an excellent blogger. There are so many announcements these days; I've seen a lot of references by the hosts about the event you're revealing Monday. Sounds awesome. There are lots of bloggers I would miss and some I already do. W4Ws sounds wonderful I'll have to check it out. Awesome blogfest! So glad I got to participate and give a much-deserved shout-out to my blog buddies. I have not heard of W4W before! Sounds like an awesome idea. I will wander over and check it out. Thanks for posting the info! I miss Clarissa, too! Glad she's just temporarily away. Thanks for giving me some more blogs to check out, too! Ink, I'm still working at it - well over a hundred already. Nancy, I can believe they picked you!! Elizabeth, you'll find plenty today! Excellent choices and I love what you say about each one. You are such a classy guy! Bah! I'm gonna have to go back through all the posts I managed to visit already so that I pick up the links to these other blogs. Have had fun reading all the blogs on this hop. Writers 4 Writers is a wonderful premise and am so glad Nancy gets first feature. Awesome. You are the most beloved person in the blogosphere, Alex. I've seen your name just about everywhere today (and not just in the credits of the fest). I gotta sign up for that writers 4 writers thing. Julie, I made quite a few, which surprised me. David, that makes you uber-cool! Michael, thanks - I was stunned to see my name so many places. I'm signed up for Writers4Writers, I'll be sure to check out Mark's blog event, and I miss Clarissa, too! Whew! I tried to "say" (type) that all in one breath. ;) Have a great weekend! Yes, it is true, that not long ago no Clarissa. Congrats to Cassie, Tara and Denise! Sadly, I only know one of the bloggers you listed for the blog fest and agree Jeremy would be a loss. So choked up today. So many wonderful bloggers. So many wonderful friends. So few hours in the day to visit them often. So sad for the bloggers who have dropped out of our community. So understanding and giving are you and your hosts. SO LUCKY TO BE A PART OF THIS COMMUNITY! But I have enjoyed today's blogfest. Thanks for hosting Alex! Awesome blog post, Alex! And just so everyone knows, I'm still around on Facebook and Twitter, and am about to implement a new, permanent weekly blogging strategy in 2013 so that my absenteeism isn't so chronic. I also have something secretive planned for next month, too. I've had to back off from blogfests recently - life is way over the top crazy right now & I just can't add anything else to it. It's so true how connected we become to each other via our blogs - so many great people! So many bloggers so missed. Yeah, what did happen to Clarissa? I'm glad Ellie came back. PS You are the Ninja of commenters in blogland ;)! How you do it, I'll never know. Carrie, don't hold your breath! Kimberly, glad you enjoyed it. Jeffrey, but I'm not on Facebook - we need you here! Which is why I'm glad you have plans for that. Mary, she just came back! And of course Blogger doesn't release my post first thing in the morning! Grrr. But I'm in the game now. Thanks for kicking this off, Alex, along with the rest of the team! She's special, not just because of what she writes about her fellow bloggers, but because her heart is so big. Plus several times she has pointed me in your direction and I've learned a great deal here. I'd be shattered if either of you ever decided to quit blogging! Those prizes of Cassie's and Tara's are awesome. I can't decide if I want to win or if I want one of my awesome blogging buddies to win... I guess either way it's all good! Lots of news, i have to go on the blogging trail! Thanks for hosting this fun blogfest!!! Dani, look forward to reading it! Carol, thank you! Joylene is really awesome. Hildie, glad you've enjoyed it. Yay, I'm here! Joined the big party taking place at Alex's! I would miss you so much, Alex, if you stopped blogging! If you disappeared out of my life, I think I would be mourning. You also keep this online writing community together - as ONE - connected as a family! We are a family! As it is, most of us writers meet here every M-W-F to hang out! And guess what, you're the host! We serve ourselves some snacks and beverages over here and we're all good because we're talking up a storm with the Ninja Captain! I love your support and encouragement! You're the man! There will be nobody like YOU! Don't leave us! BTW: I usually check your blog THE FIRST THING IN THE MORNING! It's sorta becoming a habit of mine - I remind myself every M-W-F, gotta check Alex's blog or else! And most definitely, I'll be checking out the big reveal on Monday! I'll most likely be signing up for it! Awesome folks hosting it - it's a given! I can't thank you enough, Alex! 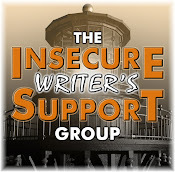 Thank you for your contributions to this online writing community! Thanks for cohosting this blog fest! It's such a great idea! I had just started to follow Clarissa Draper when she stopped posting. Here's hoping she starts again! Livia, thank you so much! You are a mighty force as well and will keep this community going full steam ahead. Think you will like Monday's reveal. Johanna, she has just started again! I miss Clarissa, too. I'll be glad when her name pops up on my blog roll again. First of all, well done to Cassie and Tara on reaching the 500 followers mark. Although, I really don't like the usage of the word "followers" and wish we could use a different term. As mentioned to you before, a most worthy blogfest to bring attention to those bloggers one misses. Much more of a way of bringing attention to them than what I've been doing for years. On a regular basis, I discreetly contact those who have been missing to see how they are doing. All the best with this endeavour and thank you for your abundance of links and info. Have a peaceful, positive weekend. I'm off to check into these other links. Write up my Miss You Post one day late. Anxiously awaiting with bated breath the Monday announcement although I will probably remember to check it on Tuesday. Hey Alex! Terrific 'fest! My post is coming! You seem to be tireless in your support of your fellow bloggers and up and coming authors...you are greatly appreciated. Even though I don't comment a whole lot, I definately would miss you and your blog if you left! Big, big fan here of the Oh, How I Miss You Blogfest execution. Some mighty good people are missed and it was good to see that they're remembered--regardless of why they're not blogging anymore. Thanks for hosting this blogfest, it's been fun. Big congrats to Cassie and Tara too and can't wait for Mark's 'mystery' to be unveiled soon! I would miss Jamie Ayres if she stopped blogging, because that girl's got voice! ...and I love your blog posts, because you always include awesome people for me to follow! So thanks for that! Gary, whatever it takes to reach friends we care about. Even, thanks, and off to read. Sorry I missed the blogfest,I can tell you guys had a blast. My shuttlecraft got stuck in the Andromeda Galaxy, pesky space bugs got into my anti matter mix but really everyone here is truly awesome. We'll see on Monday, but I hope not to meet the Spanish Inquisition. I miss Clarissa's blog posts too! Not sure if it's me or my computer or the weather... but quite a few of the links didn't work. If I didn't stop by, that's the only reason why. I'm not familiar with the bloggers you missed, but I know the ones you highlighted, and love them. I like to see that so many people like blogfests. I must say I'm unable to cope with. I'm happy when I find time for my blog. Holy cow -- there's a lot going on this week, and as usual, you're in the thick of things. I'm wondering about the W4W thing. Sounds good for the first 12 writers if they're doing monthly highlights ... but what about if 30-40 writers want in? People at the end of the line won't get featured for years ... just sayin'. I can think of bloggers who either post less or disappeared completely. I do miss them. Spacer guy , sorry about the bugs. Leovi, that would be bad. Joylene, they should all work... I'll check. Lexa, think it wii be a first come, first serve for new releases. I am sure I posted a comment here on Friday night, but it seems to have vanished into who knows where! The I Miss You Blogfest has been a wonderful experience to share with others, thanks for hosting! Alex, thanks again for the shout out. I am here for the duration (and your next book)! I missed this yesterday but I am going to post my list today anyway. Clarissa and Baygirl are two I read all the time and they always stopped by for a visit...I do miss them. Right now I am kinda missing Pat's blog. You rock dude, that's all there is to it! Carolyn, sorry it vanished! This blogfest has been frat. Chuck, you are welcome, and hope Pat rejoins us soon. It's amazing how many bloggers have tailed off. The golden days are over. I just have to look at my google reader which used to fill like crazy on Monday morning, and now? Very little. Yes, of course that Apocalypse Now is a very interesting blog. What a great blogfest! I've enjoyed reading peoples' entries. I'm so happy Nancy has been chosen for Writers 4 Writers in December. No one is more deserving. Her book is amazing. Hopefully this will help it reach more readers! Hail, King of the Blogosphere! Great stuff as always, Alex. I like the idea of Writers 4 Writers -- a few SpecFic writers and I are starting something similar (but on a much smaller scale) next week: synchronizing our free promotions and advertising them together. Laura, mine just gets bigger and big - want to trade? Milo, I just read that at your blog. We all need a little help. I'll have to check out your recommendations. A few of them that you mentioned are new to me. Thanks for co-hosting. This has been fun! So many great blogfests, so little time. I am definitely going to try to join a couple blogfests around the holidays. Here's hoping! Robyn, think I will skip chocolate on my turkey. Hi Alex! It's been awhile since I've visited and somehow missed the news of Writers 4 Writers. How very cool! Awesome idea. Now off to like the FB page! Thanks for hosting the blogfest! I hope I don't even have to make your list. I'll have to look more into Writers4Writers. Hope you've had a great weekend! Hey Karen! Good to hear from you. Dania, you can join us anytime! Love the shout outs to all those great bloggers! so very oh so very greatful for all the fun blogs! and wow, 500 followers! congrats, guys!!! You show the softer side of you. written from the heart hope to get a few friends back. I miss Rhonda at Rhonda's Wonderland.